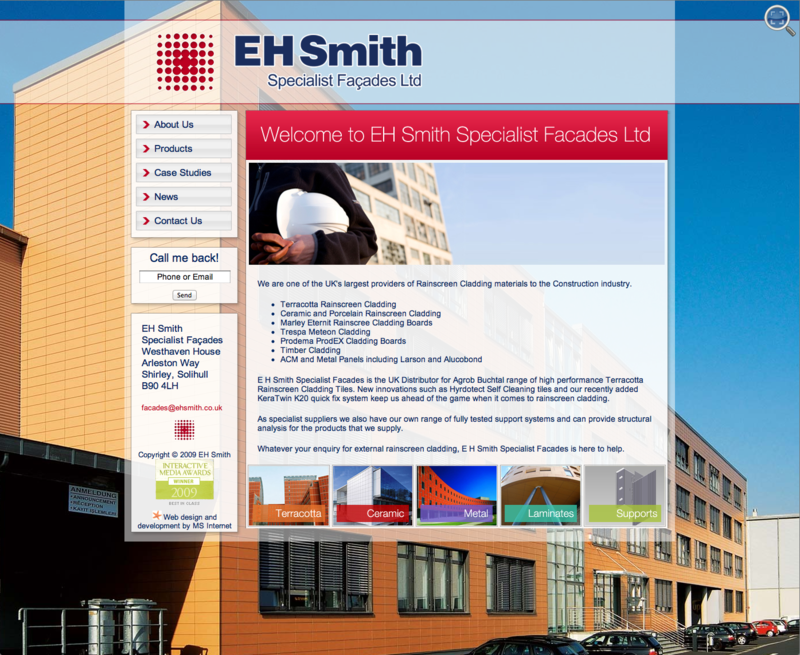 The specialist façades division of EH Smith provides external cladding and façades for architectural purposes. Some amazing work has been done by numerous architects using the EH Smith Façades product line and our goal was to deliver a website that was informative and held accurate product information but also showed some of this work to demonstrate what could be done with the product. We used strong photography as a backdrop for the site and a magnifying glass tool to fade out the site content and view the background image as a sort of macroscopic gallery. The underlying content management system (that I developed also – Starfish1) allows the site content and imagery to be controlled with ease. The result won an Interactive Media Award.